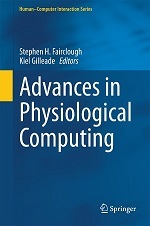 This entry was posted in Research and tagged adaptive responses, ecg, heartbeat, mood, pervasive computing, physiological computing on November 24, 2011 by Steve Fairclough. Not to sell myself out of a job but Steve wrote this post. Author details are now correct. You didn’t think Kiel would attempt such sarcastic humour about the great Dr. De Waard did you Ben?